!! OMG, fantastic: Cat Prin !! Okay, first of all, calm down. I know it’s the second cat post in a row but don’t have a cow. Woooook at de kitties! So cuuuuuute! Read all about Cat Prin designs from Japan in this (cough cough) VICE article. 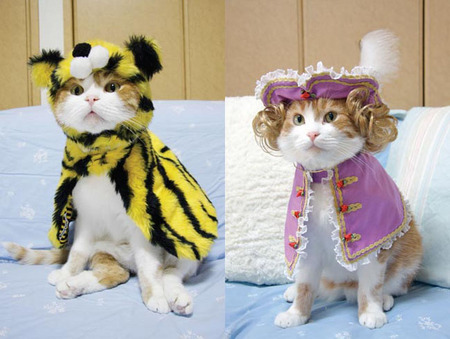 4 Comments on "OMG, fantastic: Cat Prin"
Hal, there is nothing important to be found on this blog or any other. I approve of double cat posts if the results are this hilarious. But I do feel sorry for the cat(s). omg blog is too much about OMG cute animals than OMG real important stuff. This lower the cat’s self esteem.